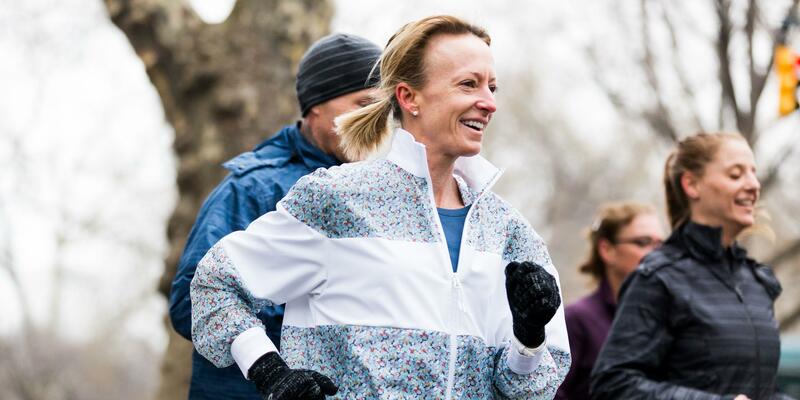 As one of America’s fastest female runners, she is ready to take on the Boston Marathon. 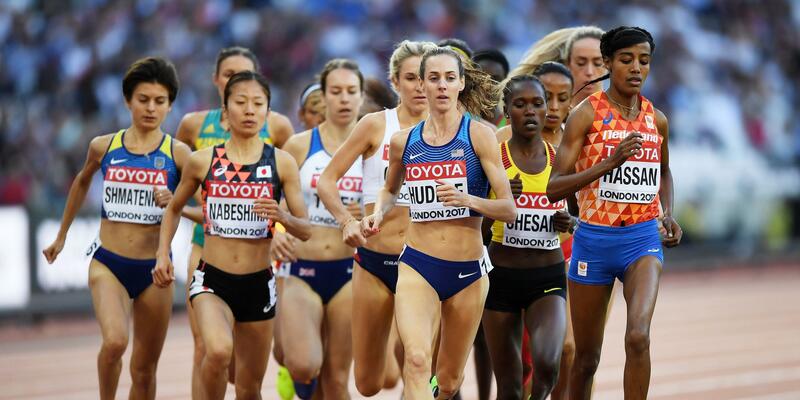 On April 16, two-time Olympian Molly Huddle will join an elite group of runners in an effort to end the 33-year drought in which an American female has not won the nation’s oldest marathon. Huddle is familiar with breaking records; she currently holds the U.S. titles in the 5,000 meter, 10,000 meter, and 5K and in January, she clenched the half-marathon record with a time of 1:07:25 in Houston. She made her marathon debut in New York City in 2016, where she finished third with a time of 2:28:13. The Boston Marathon will be her second attempt at the distance—and some of her toughest competition will be her fellow U.S. runners, including four of the five fastest U.S. female marathoners of all time. Furthermore spoke to Huddle about why training for her second marathon was different from her first, her race day rituals, and her surprising attitude about nutrition. Walk us through your training process for a race. For a marathon it's been different than anything I've done on the track because it's so much volume. It takes about three months for me to train for a marathon. We went to altitude for the first portion, then the last two months I've been getting in some harder workouts and practicing my fueling during the longer runs and workouts. The week of March 26 I start to taper for the race and my last hard week of work the week of March 19. It’s a long race and that's why it has such a long buildup. 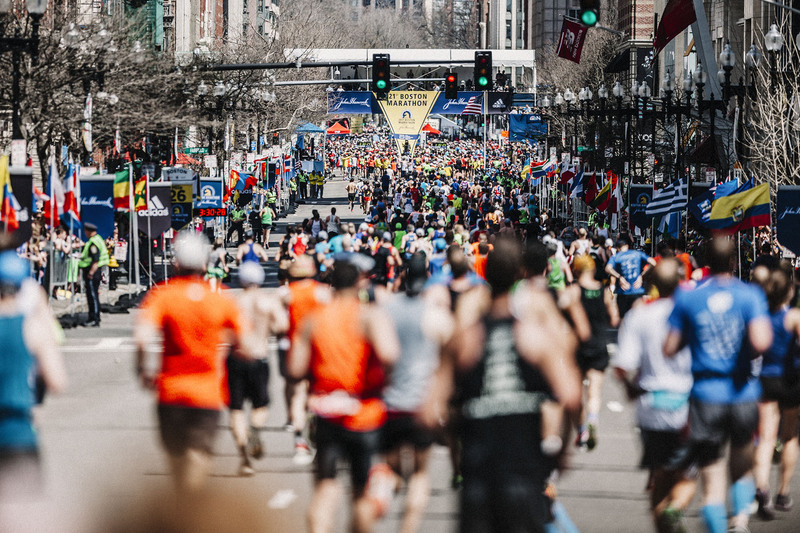 Did you train differently for Boston, specifically? We didn't change the basics of my training, but I was able to do a lot more work just because of when the race fell. New York was kind of a tight fight after the Olympics; I was in good track shape and then I rushed home to try and get the big mileage. Because I had already tapered for the 10K at the Olympics and I had to go back to heavy training again, we lost a couple weeks there. This time we had a lot of time and I just felt like I fit a lot more miles in. I'm hoping that pays off on race day. What will you do the morning of the race? I get up about four hours before the gun goes off and eat something. I'm probably going to have some Gatorade Endurance Formula and some of the chews in addition to my peanut butter and jelly sandwich just to make sure I get some carbohydrates. You really want to have a good carbohydrate-rich breakfast before a marathon. We stay in the city and we bus all the way out to the start so you just listen to your playlist and try not to think about how long the drive is. You have to run all the way back. Then I do a really short warm-up and just make sure I'm moving right. What would people be surprised to know about your diet? I think people would be really surprised that I don't exclude many foods at all. With marathon training, you’re pretty hungry all the time so I try to eat healthy protein and whole grains and vegetables, but if I need a dessert, if I need pizza or something like that, I definitely enjoy that. I think that's the most balanced way to approach it. Most of the top athletes are like that and people kind of look at you sideways when you're eating a donut or something. I just have a lot of fuel to restock right now so it's mostly healthy, but some of it is dessert. How do you stay mentally strong? The marathon requires a lot of mental strength because it's so long and you're getting so fatigued at the end. I think the person that can will themselves to keep pushing will end up doing the best and maybe doing something that their body shouldn’t be able to do. That's something you try to practice in training. For me I just break everything up into small, manageable pieces whether it's a mile at a time or a few minutes at a time. I think focusing intensely on those few minutes and stringing those together and being able to string more of those together every week, it's like a gradual buildup to the full marathon distance. So I'm hoping that by Patriot's Day I can just focus really intensely for 26.2 miles.